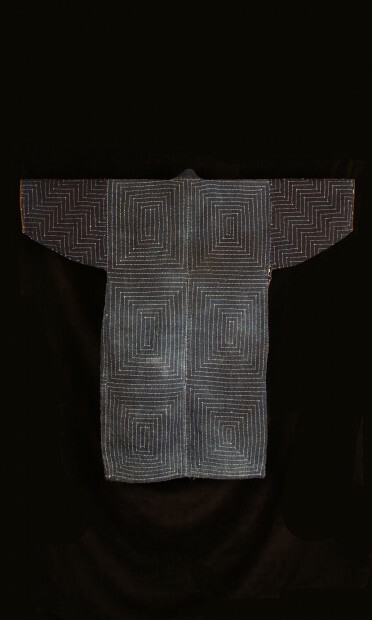 Japanese indigo dyed cotton workman’s jacket. 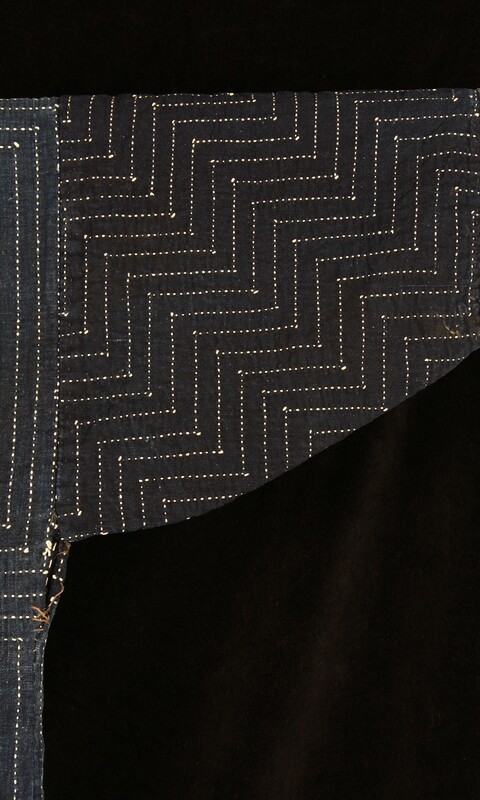 The jacket covered with sashiko, decorative reinforcing stitch work, in a dramatic design of concentric squares for the body and a stepped design for the sleeves. 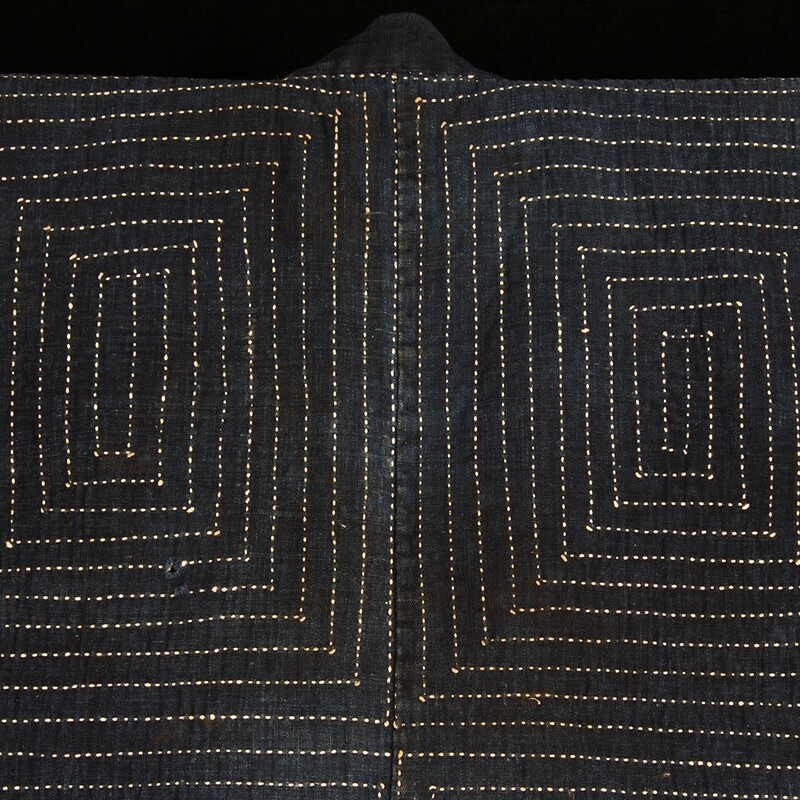 The interior of the jacket with printed lining. 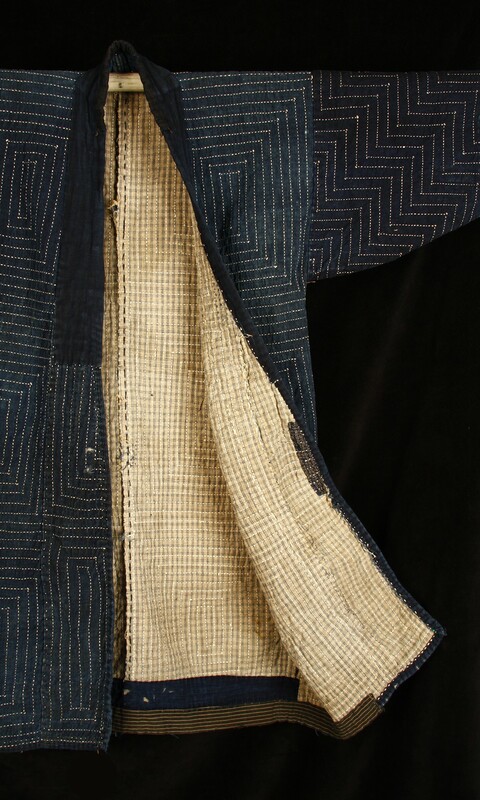 With some wear and patchwork as would be expected with age and use.